Since 1983, more than 4,700 teachers have been recognized for their contributions in the classroom and to their profession. If you know great teachers, nominate them to join this prestigious network of professionals. All entries must be received by 11:59PM EST on 12/15/2017, via online submission. Entry fees are free. 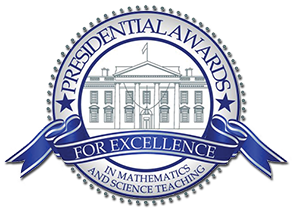 A distinguished panel of professional science educators will gather virtually the weekend of 1/13/2018 to select the winners from an anticipated 1000 entries. To be eligible for consideration, all work must be current and cumulative as applicable. The NSTA Awards and Recognition recipients will be honored during a black-tie dinner gala on 3/16/2018 in Atlanta, Georgia, at the NSTA National Conference on Science Education. The NSTA Awards and Recognition Program is sponsored in part by Bio-Rad, DuPont/Pioneer, Northrop Grumman Foundation, SeaWorld Parks and Entertainment, Shell, Vernier Software & Technology. Sponsorships for the NSTA Awards help support the science educators and their science educational programs, professional development and proactive efforts in the science education field. For more information contact Amanda Upton, the NSTA Awards and Recognition Program liaison, at 703.312.9217 or awards@nsta.org, or apply online at www.nsta.org/awards. LOOKING FOR MORE NATIONAL AWARDS? Each year educators across Tennessee are nominated by their peers to be chosen as an outstanding Science Educator. There are four levels of awards: K-4, 5-8, High School, and College. TSTA Board members review the candidates and choose one educator for each category. Awards are made based on their written philosophy and record of leadership in science education. TSTA pays for winners to attend the conference. They are introduced at the TSTA Awards Banquet and receive a cash award with a plaque.